We should have 26 in stock. Need more? It usually takes us 2 - 3 weeks to bring more in. 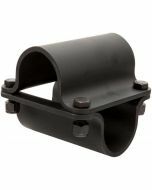 For connecting two pieces of pipe at right angles, made of forged steel. 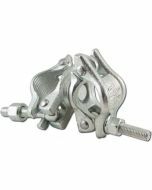 While we call this a Tubing Clamp it is also known as a Scaffolding Clamp, Swivel Clamp, Chesboro, Chesborough, Cheesburger, or Burger. 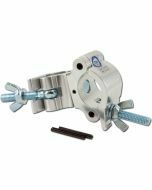 Comes in either swivel or fixed version. Tested Slip Load of 1,700 lbs. 4.75" x 4.75" x 7.5"